How to be Consistent in Bullet Journal-ing? So, as you guys know, or might not know, besides handlettering, I also do bullet journal, a.k.a bujo. 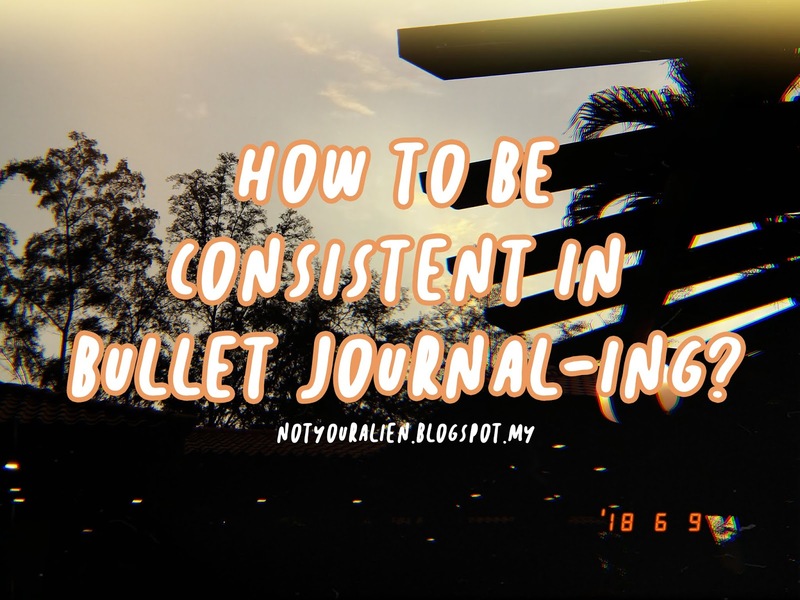 You guys can simply Google to get the idea of what bullet journal is and how it looks like. Mine isn't as beautiful as pictures you guys might found, but, yeah, lebih kurang begitulah hahaha. I started bujo-ing since January 2017, so basically it's my second year bujo-ing. I ocassionally post pictures of my spread on my Instagram story and put it on highlights, and a few people replied that they're envious of how I'm able to keep up with journal-ing. So, since 2019 is coming real soon, maybe there's also some of you guys might be interested in bujo, but are afraid that it'll end up dibiarkan begitu saja terikat namun tak bertali, or fear that you guys might give up, here's some tricks that I can share. 1. You don't have to journal every single day. Although, you're everyday single, you don't necessarily need to journal everyday. Just like diary, you only write when there's anything funny, sad, interesting, etc happens in your life. Same goes with bullet journal. Most of the people in bullet journal community out there tends to design the spread before-hand so that's why you guys will see they have a complete days of the week in their bujo. As for me, that requires too much commitment and time, so I don't design before hand. That way, I can write only when I feel to because I'm not obligated to fill in the design for each day. Now, here I'll get few excuses such as, "I tak berseni macam you", "I tak reti lukis", "Tulisan I tak lawa" and the list goes on. Although everything that is listed is wrong, as in, aku pun tak berseni, tak reti lukis, and tulisan buruk hahaha. However, decoration, doesn't necessary comes from you, if you know what I mean. It doesn't have to be something that you draw or write by yourself. You can always print out things, go to pinterest, and just type bullet journal printable, and tadaaa you'll see many things to choose from. Other than that, you can print out photos of your favourite artists, cartoons, or make it more meaningful by printing out selfies with your friends, photos of your cats, like, literally, anything. The point and uniqueness of bujo is it's only one in the whole world. You can never find a book, a journal similar to yours. So personalize it! If printing requires too much effort or time for you, you can always buy sticker from stores like Mr. D.I.Y (highly recommended sebab murah!) or Daiso or Kaison. If you say you don't know how to decorate your bujo, I suggest you to go through #bulletjournal on Instagram. You can get so many inspiration there. When I first started, I just directly copy how the bujo-ers paste their sticker, the senget benget, ada yang koyak-koyak kertas then tampal, tiru je. Just copy. Lama-lama, dah terbiasa and you know how to decorate your spread without any reference. If you look on videos on Youtube, most of the bujo-ers have a branded notebook as their bujo. Of course, when it says branded, it means it costs quite some money. Plus, some of the things are hard to find in Malaysia unless you buy it online, and yes, shipping costs more money. For beginners I don't really suggest you to straight buy an expensive book for your journal, because for me, it took me halfway through the year barulah bujo I ada rupa bujo. 6 bulan sebelum tu, macam buku conteng budak tadika hahaha. So idk about you, but for me macam sayanglah buku dah mahal, tapi I ruined it. But if you memang berseni then of course you can spend money on it! If not, my suggestion is of course, notebook Mr. D.I.Y. But!!! There's very limited choice to choose from tbh because most of it are lined notebook and the lines are very obvious so that kinda ruin the spread. Kena pandai pilih. Ada line is okay, tapi kena cari yang line dia malu-malu camtu, macam nampak tak nampak je. You can also find your notebook at Daiso! This is recommended because Daiso have better choices of notebook. If you're lucky, you'll also find dotted and grid notebook, which the kind that lots of bujo-ers use. Harga still murah, design pun mostly cute je kan if from Daiso, so who wins? You win. Kaison also have many cute notebooks, but usually they sealed it with plastic so I don't really know how the inside looks like for most of it. Other than notebooks, decorations like tapes, stickers, sticky notes, Mr. D.I.Y got a looooot of cute ones and cost like RM 2~8 only. Same goes with pens! They got variety of pens, coloured, glittered, neon-coloured, mostly under RM10. It doesn't have to be from Muji, Stabilo, or any other well-known brands. This plays a part in your commitment to bujo-ing because let's say if your pen ran out of ink, you don't have the pressure to buy another one that cost quite an amount of money. Hope that makes sense, though. I understand, that nak betul-betul duduk, bawak keluar segala jenis pen, stickers blablabla and focus untuk journal almost everyday tu kadang-kadang leceh. So, if you're busy but still thought that whatever you went through is journal-worthy, you can always write in the Note in your phone first. Maybe you can write some important points so you wouldn't completely forget what happened? Kalau memory Dory macam I ni, memang senang je lupa so sometimes I do this. When it's weekend where I finally have some time and space to clear my mind and release my stress, baru I bukak my bujo. Senang, sekali tu je sepah-sepah pen terabur apa semua, and sekali tu je kemas everything semula. So, I think that's all that I can share, for now? The most important thing is, do something that you're comfortable with. I do this bujo thing to release my stress, so let's say if I go too far out of what I'm comfortable with, that will just bring me another pressure. But, if you're okay with challenging yourself to do things that you've never done before, then why not? So, at the end, it all depends on yourself. I would love to upload some of my favourite spread in my blog someday, but let's wait until the day I have enough time to edit and blur out what I wrote in the journal since everything is too personal to share 😅 So let's keep that for next time, hopefully, soon. Very impressive girl, the way u deliver and giving tips through this post shows you very passionate in this thing. ya as always i enjoy reading all your post ! 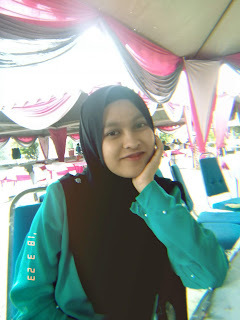 Goodjob im waiting for the next post xoxo ! It's just soooo satisfying right?? Idk how to decorate normal planner :/ I'm thinking of blank pages too since i used lined one this year. Thank you btw! !